In 1981, President Ronald Reagan was facing jeopardy. The debt ceiling was reaching its limit, and some young Republican members of Congress were balking at raising it. (They tended to confuse the debt with the deficit.) It didn’t help that this would be a symbolic benchmark, when the U.S. debt limit passed a trillion dollars for the first time. But the consequences were grave. In 1957 during the Eisenhower administration, when GOP congress members played games with the debt limit, it set off a short recession during what otherwise was a period of unbroken prosperity. And 1981 was hardly a similar period. While the 1980s were a time of prosperity, it was a prosperity built largely on deficit spending. A failure to raise the debt limit could have terrible results. Senate Republican leader Howard Baker turned for help to conservatives Strom Thurmond of South Carolina and Paul Laxalt of Nevada, asking them for missionary work among the young conservatives to bring them around. Laxalt, who died earlier this month at 96, agreed to help Baker. The debt dispute showed what Laxalt could do but seldom did. But after the Panama and boycott fights, Laxalt drifted in the Senate. He never carved out a specialty, never won enactment of major legislation. He proposed a “Family Protection Act,” an omnibus package of right-wing pet ideas that was dead on arrival. After Ronald Reagan became president, Laxalt settled into a role as Reagan’s pal. There were those who hoped he would become more involved in policymaking and other initiatives, but he did so only episodically – as when he advised Philippine tyrant Ferdinand Marcos to step down in the face of a “people power” revolution. Laxalt was urged to run against Baker for Republican leader, but he declined. 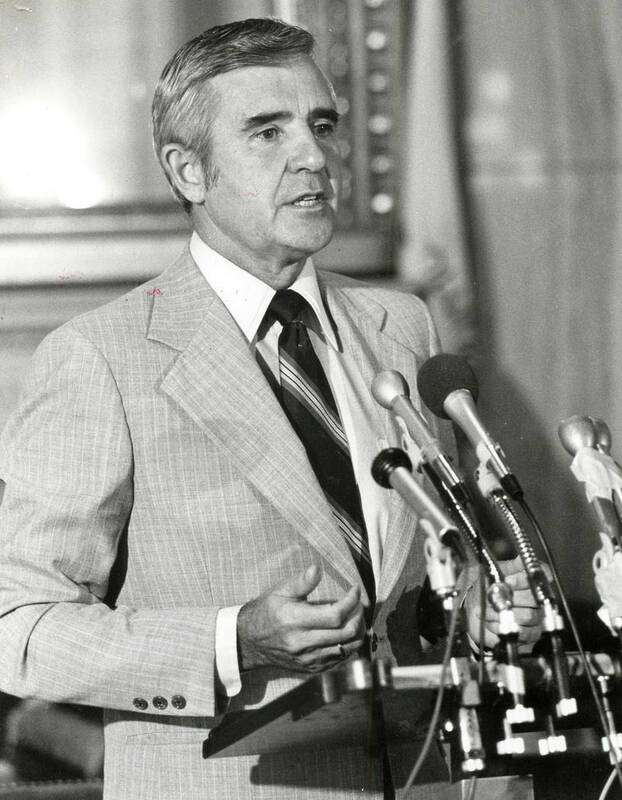 Laxalt as governor (1967-71) had considerable accomplishments to his credit, but Laxalt as senator was a poignant tale of unrealized hopes, 12 years of few legislative achievements. Go to pvtimes.com to for coverage on former U.S. Sen. and Gov. Paul Laxalt and his passing.